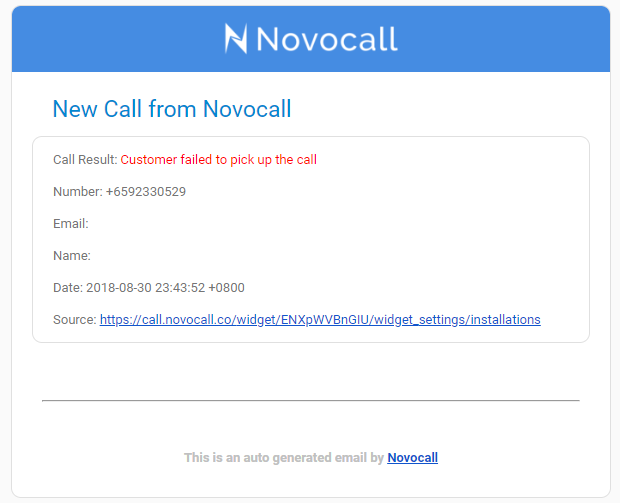 Where do messages from the Novocall widget go? All messages will be sent to the company's notifying email. Here's an example of an email from us - In this case, it's a missed call email notification. To include additional email recipients, simply add in email under notify email separated with a comma. For example: "[email protected], [email protected]"
You may access it via "Settings" > "Widget Settings" > "General Settings" > "Notify Email"